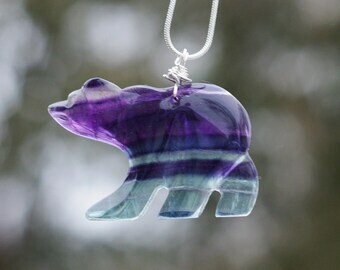 This is a beautiful pendant that has natural purple and green colours in the stone. 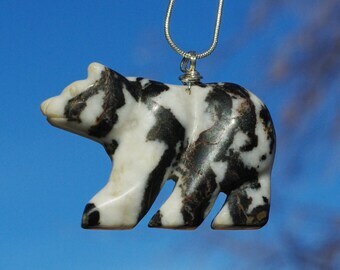 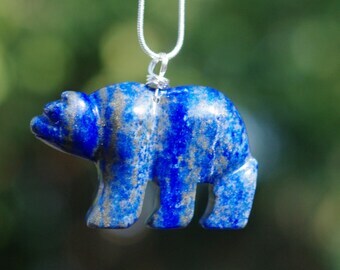 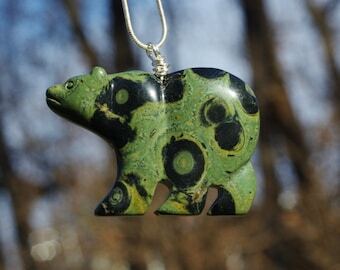 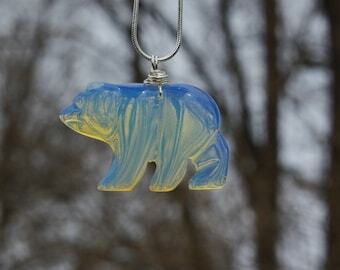 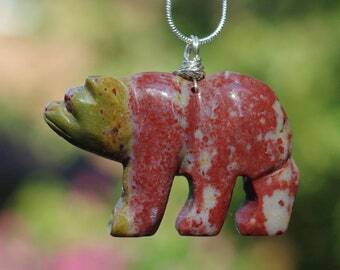 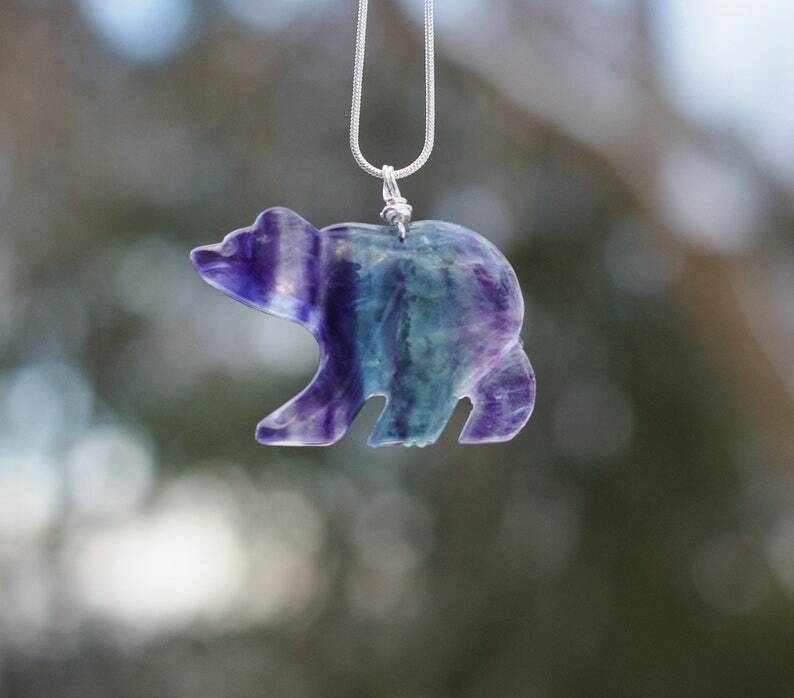 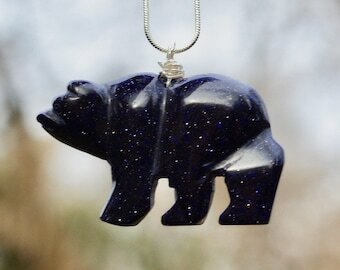 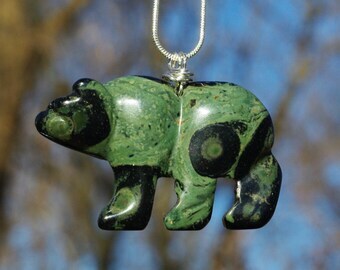 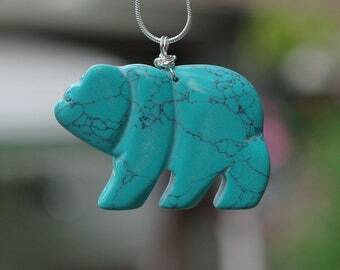 The bear shaped stone is 1.5" (4 cm) by 2" (5cm). 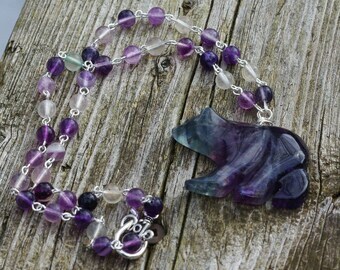 Sterling silver wire is wrapped and attaches the stone to the sterling silver chain accentuating the natural colours in the stone. 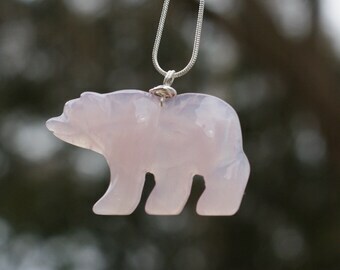 The first photo shows the stone in natural outdoor light. 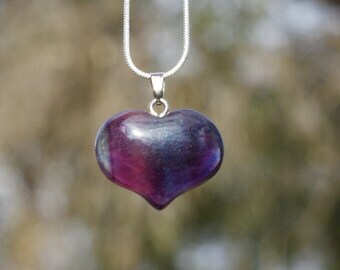 The stone looks a darker purple in indoor light. 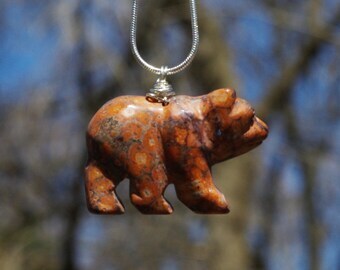 This is a gorgeous stone that is sure to get many compliments. 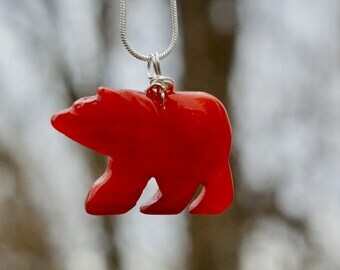 This is the exact pendant stone that you will receive.